The Cronut looks like a doughnut but is made from a croissant type dough which is filled with flavored cream and fried in oil. 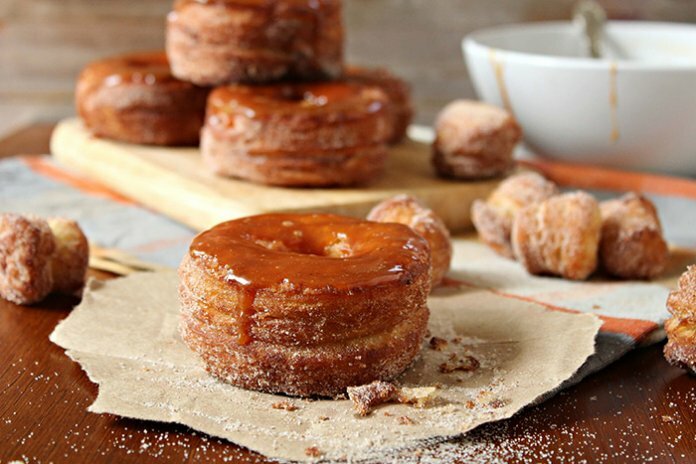 The Cronut was invented in 2013 by bakery owner Dominique Ansel in New York City. The official Cronut pastries are sold only at the Dominique Ansel bakeries in New York City, Tokyo, and London. 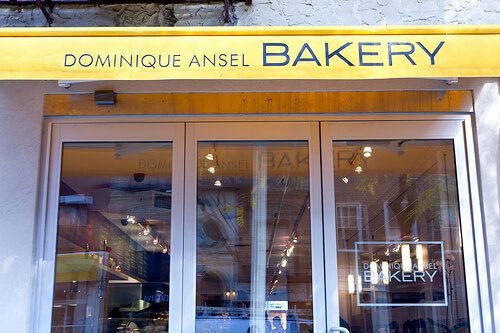 Dominique Ansel Bakery serves creative French pastries, but is especially known for creating and trademarking the Cronut (croissant-doughnut). 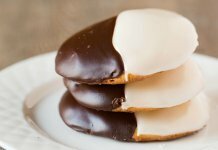 There is only one flavor of Cronut pastry every month, and the flavors never repeat.